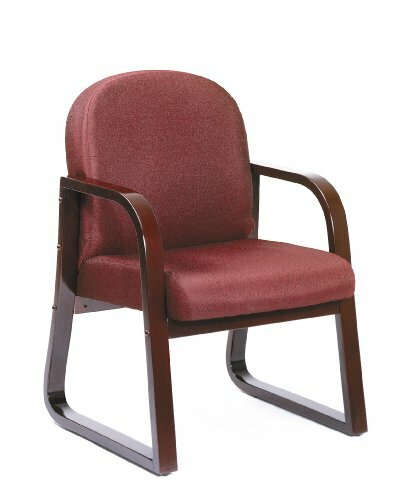 Boss Mahogany Frame Side Chair In Burgundy Fabric weighs a light 26 pounds and is able to accommodate up to 250 pounds. This Boss Office Product unit features a molded wood frame that is extremely sturdy, as well as seat and back cushions that are thicker than your standard chair for extra comfort. Measurements for the elegant wood reception chairs are 24" W x 25" D x 34" H. The following fabric colors are available in addition to the burgundy if you'd like to match the chair to other decor in your office: black, blue and grey. If you have any questions about this product by Boss Office Products, contact us by completing and submitting the form below. If you are looking for a specif part number, please include it with your message.